Alibaba Group Holding, China's online marketplace, has entered the smart home device market with an artificial intelligent speaker it calls Tmall Genie X1. 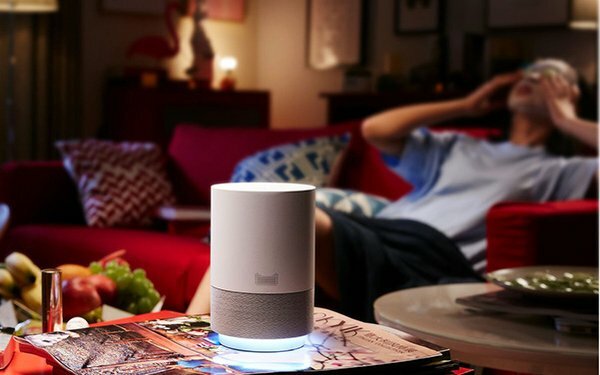 The home device aims to take on the likes of Apple HomePod, Amazon Echo, and Google Home, among others. The device, in limited beta, aims to take on Amazon Echo, Google Home and the recently launched Apple HomePod, but it might face challenges in order to succeed in the U.S. because it is only programmed to understand Mandarin, and for now, is only available in China. The wake up words, "Tmall Genie," in Chinese enable users to search across Alibaba's marketplace of goods and services. Like Amazon Echo, the device will begin by aggregating products sold across its marketplace. It also provides voice-controlled services such as order tracking and access to weather, business and finance news, as well as music on demand. It allows users to access 10 million music titles, and 100 million audio books. The home device learns from the user. The more it's used the better the response, according to Alibaba. In 2017, VoiceLabs estimates that 24.5 million voice-first devices will ship, up from 65 million in 2016, and 1.7 million in 2015.